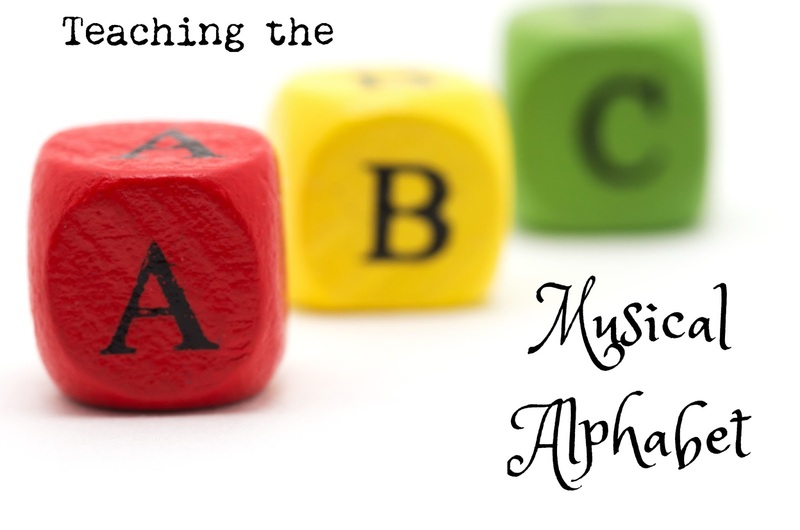 Recently I had a colleague ask me how I practiced the musical alphabet and the treble clef with my students. I typed up some activities for her and thought I'd go ahead and post it to my blog. Ball game: Students say the letters of the musical alphabet as they pass a ball around the circle. When the teacher plays the hand drum, students switch the direction of the ball and the direction of the musical alphabet. For example, the students might say “A B C D,” and then the teacher plays the hand drum, and they’d switch the direction of the ball and say “C B A,” etc. In the next lesson, only the student who holds the ball says the letter. 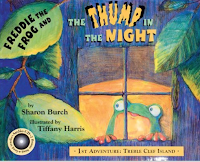 After the word “behind,” the teacher says a letter, like “B,” and then the students say the letter before, the original letter, and then the letter afterwards (A B C.) If the teacher says “O,” the class would respond “N O P” (while doing the motions pat/ clap/ snap.) After doing this a few times, students figure out what the teacher was doing, and then they offer other letters. The next time students do this activity, we try it with the musical alphabet. 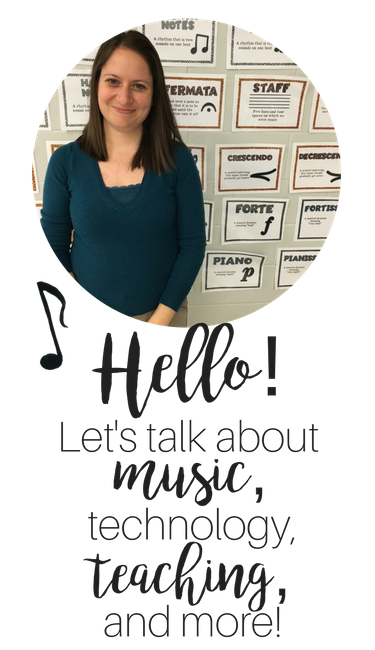 So if a student offers “G,” students would respond with “F G A.” The students love this chant, and it’s a great way to get comfortable with the musical alphabet. The students find E, G, B, D, and F on the staff during that lesson. 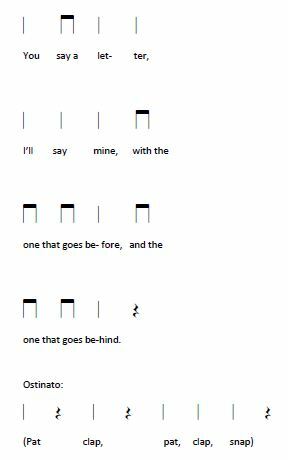 In the next lesson, students practice both lines and spaces. You could place notes on the staff and ask them which note it is, and/or tell students a note and have them place it on the staff. “Mad Minute”: I use this as a formative assessment to see how students are doing with note names. They get 60 seconds to fill out as many note names as they can. Once I’ve done quite a bit of practice, I do a “mad minute” for a summative assessment. Note name learning centers: I’ve enjoyed using learning centers in my room for the past two years With the learning centers, I had one group at the SMART board working with a note name file, another group playing a jumping game with a floor staff (first one to jump to B wins), another group figuring out how to play a song on the treble clef on their recorder, and another group figuring out how to play a song on the treble clef with barred instruments. During the jumping game, I pulled students who had trouble with the first mad minute so I could work with them individually. This was a great chance for intervention! Then during the next music class, I did the second mad minute for a summative assessment. Any other ideas? Please post them below! Thank you for these! I was running out of alphabet ideas!!! I have printed off a lot of alphabet cards and the kids work at arranging them in tonal contour as well. B above A, C above B, B below C ect left to right. That is really good practice for them. 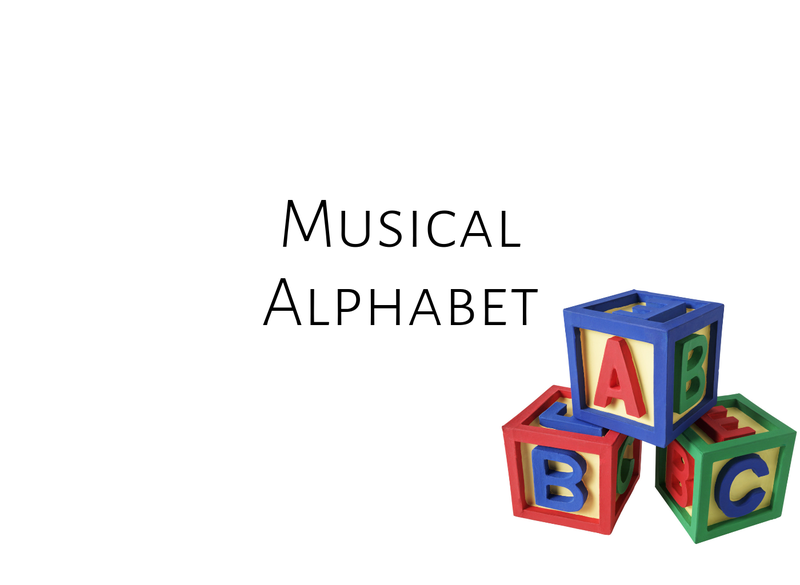 And the website "Fun and learn music" has some great worksheets for practicing writing the alphabet in tonal contour as well.